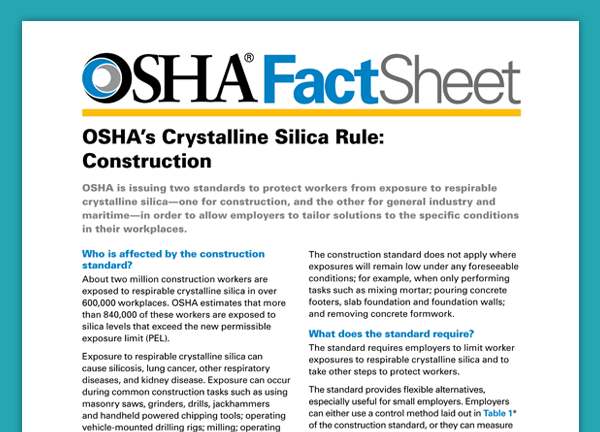 OSHA’s new Silica Final Rule came into effect June 23, 2017. The Agency has severely tightened requirements for contractors working with material that contains silica. Poised to begin enforcement activities immediately, the Agency will be looking for contractor compliance. The new standard was set forth to reduce worker exposures to this harmful dust. Respirable crystalline silica dust causes lung cancer, silicosis, chronic obstructive pulmonary disease and kidney disease. OSHA estimates that this rule will save more than 600 lives and prevent over 900 new cases of silicosis each year. If you have not done so by now, please take the time to review this standard and schedule training for your crew (if applicable to your trade). 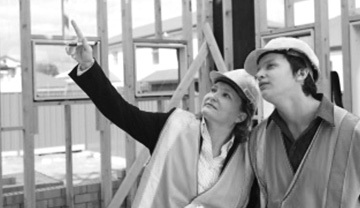 Please contact us at estimating@f-hconst.com or at 209-931-3738 if you would like a referral to F&H Construction’s recommended Safety Trainers in California or Hawaii.